For the fifth consecutive year Worldcon members have cast a record-breaking number of Hugo nominating ballots. LoneStarCon 3 received 1,343 valid nominating ballots, exceeding the 1,101 received by Chicon 7 last year. Prior to that, Renovation received 1,006 in 2011, Aussiecon 4 received 864 in 2010 and Anticipation received 799 in 2009, each a record-setting figure at the time. This record-setting trend likely gained momentum from a rules change effective in 2012 which broadened the voting base. Since last year, members in the forthcoming Worldcon have been allowed to nominate too, just as members of the current and previous Worldcon have long been able to do. LonCon 3 in 2014 is a European Worldcon, and I would guess has many members who don’t typically join when the con is in North America, making the universe of potential Hugo nomination voters that much larger than it was in 2012 when the pool consisted of members of three U.S. Worldcons (Renovation, Chicon 7, LoneStarCon 3). The 2013 Hugo Award nominees will be announced on Saturday, March 30, starting at 3 p.m. CDT. 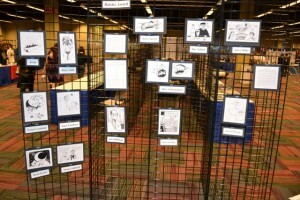 The nominations announcement will be made simultaneously at four conventions in the United States and United Kingdom, with the shortlists being published through the LoneStarCon 3 website immediately afterwards. EightSquaredCon, the British National Science Fiction Convention (Eastercon), in Bradford, England (8 p.m. GMT). Nominations will also be released category by category via the LoneStarCon 3 Facebook page at www.facebook.com/LoneStarCon3 and the LoneStarCon 3 Twitter feed at twitter.com/LoneStarCon. 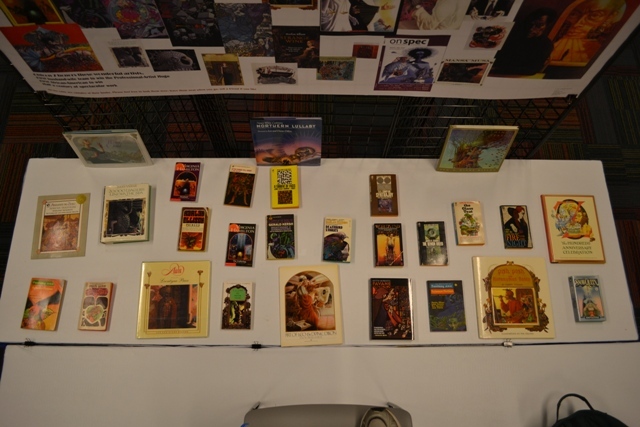 The nomination period for the 2013 Hugo Awards and John W. Campbell Award is now open and will continue until March 10, 2013. 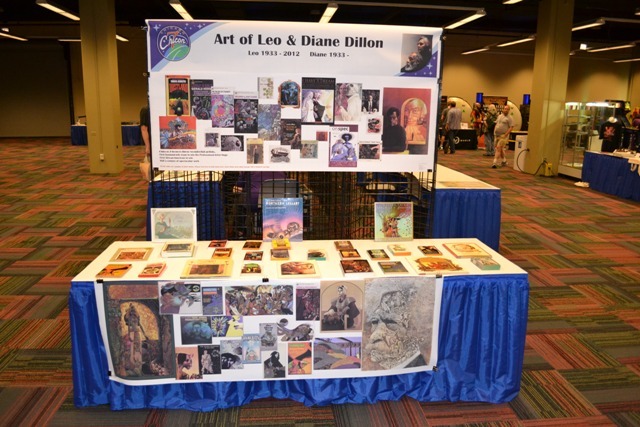 Nomination is open to anyone who is an Adult, Young Adult, or Supporting member of LoneStarCon 3 or Loncon 3 (the 2014 Worldcon) as of January 31, 2013, as well as all Adult, Young Adult, and Supporting members of Chicon 7 (the 2012 Worldcon). The Loncon 3 committee has issued a press release reminding prospective members that one of the advantages of joining by January 31 is having the right to nominate in the 2013 Hugos. LoneStarCon3 has declared the 2013 Hugo Award nomination period open. But unless you’re in such a hurry that you’ll priority mail a paper ballot, there isn’t anything much you can about the fact until LSC3 issues the necessary PINs, which will be e-mailed in the next few days. Members of Chicon 7, and those who are or become members of LoneStarCon 3 and Loncon 3 by January 31, are all eligible to nominate. 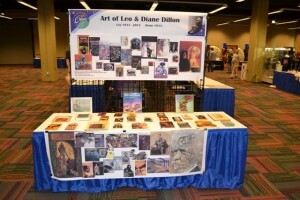 More information is available on the LoneStarCon3 Hugo Awards page. Kevin Standlee has posted video of Chicon 7’s Opening and Closing Ceremonies. They were shot by Lisa Hayes and Kevin through the good offices of Lisa’s video-production company, Tsuki Systems LLC. Note: When I tried to embed two different videos WordPress kept displaying only the latter. So I have put in links to both but left only one embedded video. I started a contribution for the World Order Of Faneditors collation, but proved unable to finish it in the time available. Herewith is presented the opening paragraph, in Latin as seemed fitting. I am not satisfied with the quality of the language, but it should be clear enough, I think. Vero felix est congredere septimo in hanc Chicago, urbem alabastron carminae. Felix est autem amor philosofabularum atque amicitia communa, quia annuale a partibus remotis mundi conveniamus. Nonne est hoc congressum nostrum rei publicae litterarum pars plusquam benedicta? Et quis plus benedictus quam nos amateditores, cordes & venae illius corresponsus quae circulatio sanguis huius corporis est? Quapropter, donec rationem melioram habeamus, gaudiamus & iubiliamus. It may be seen that I forebore to decline “Chicago”. I thought to render “World Science Fiction Convention” by Congressum Universale Philosofabularium, & “World Order Of Faneditors” by Ordo Amateditorium Mundi, which I hope will prove at least not terribly displeasing. For aught I know, there may be standard equivalents, as I suspect there are in Esperanto, given the well-known association of that language with fandom. At the moment that’s the extent of my permission, though I believe I may say you can get “The Airship, a Summary for Writers” (12 pp. including glossary & a note on “lifting gas”), adapted from the standing-room-only panel he moderated “Airships, the Reality” with Howard Davidson, Lisa Hayes, David Malki, Joseph P. Martino – in case you were attending the Nielsen Haydens’ Kaffeeklatsch, or the Murray Leinster panel, or “The Secret History of Science Fiction”, or Mary Robinette Kowal’s reading, or “Fans and Academics” with Betty Hull, or my Art Show tour – it was a Worldcon, right? – from him at P.O. Box 1035, Fort Worth, TX 76101 U.S.A., or publius@lunarcc.org. 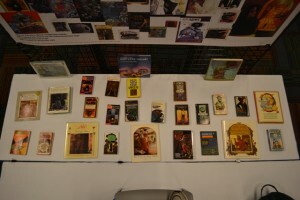 After a Worldcon the Top 10 is usually dominated by the Hugo Awards. Not this year. Chicon 7’s hoax program track became the lightning rod for an array of complaints about access at the Worldcon. Chicon 7 also was caught up in the heated discussions about sexual harassment at cons – directly, because of linkage to the Readercon story, and indirectly, by the controversy over old attitudes apparent in the historic online exhbit of correspondence from Chicon III. 6. Overserved at the Drink Tank? 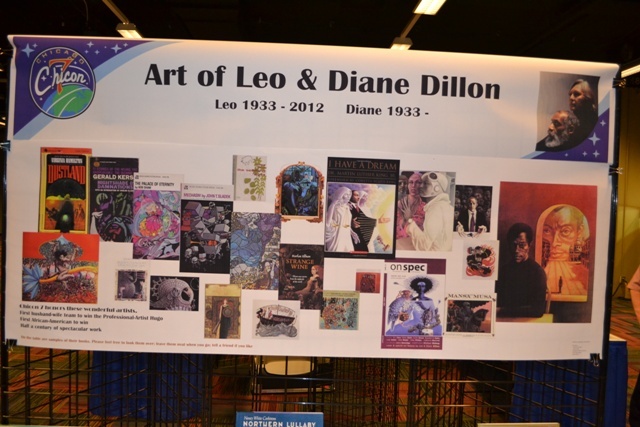 Chicon 7 exhibit about Leo and Diane Dillon. Photos by Richard Lynch. By John Hertz: In May when Leo Dillon died I felt that Chicon VII (officially “Chicon 7” for the Mercury 7 astronauts) really ought to have an exhibit honoring the Dillons’ work, two of our finest illustrators over fifty years. I found nobody else was yet planning one. I got valuable advice from Vincent Di Fate and Jane Frank. 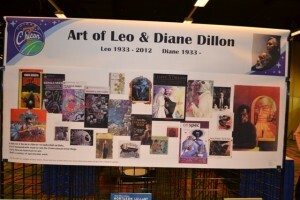 Mark Olson had the swell idea of displaying books the Dillons had done. Alice Massoglia rounded up two dozen decent-quality reading copies – not collectors’ copies, I wanted to let people pick them up and look through them. A good handful of Harlan Ellison books, issues of Fantasy & Science Fiction with Dillon covers, the Byron Preiss collection, 20,000 Leagues Under the Sea with their cover and interiors, Ashanti to Zulu which won one of their Caldecotts (and reminded me of my Nigerian drum teacher), Pish, Posh, Said Hieronymous Bosch which they did with their son Lee, the hundredth-anniversary Wizard of Oz, some Lafferty, The Snow Queen, and a host of others reached me in Los Angeles, were sent on to Chicago, and arrived safely. Elizabeth Klein-Lebbink resplendently with her electronic powers made three banners, one for the top with “Art of Leo and Diane Dillon” and a color photo, one mounted under that and one mounted on the front of the display table with images of every shape and size, some we had physical examples of and James Baldwin, Martin Luther King, Shakespeare, Mark Twain. Richard Lynch took photos so you can see how it looked. This involved his climbing onto a chair on top of a table muttering “This is stupid, this is stupid” while Nicki across the Exhibit Hall wondered. Richard also helped me put up the Rotsler Award exhibit and photographed that for you. My guide through various spacetime problems with it was Randy Smith, as ever a big help. All three judges, Claire Brialey, Mike Glyer, and I, were at the con, but no more than two of us ever managed to be in the same place. If we all had, that might have popped Dave McCarty into the 14th Chorp Dimension. Which reminds me, Dave, what happened to the Jay’s potato chips? 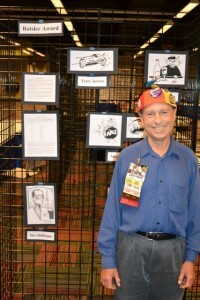 Rotsler Award exhibit at Chicon 7. Chicon 7 Still Going On? Game of Thrones author George R. R. Martin appeared on Peter Sagal’s NPR game show Wait, Wait, Don’t Tell Me today. We’ve invited Martin to take a quiz called Game of Trombones. Three questions about things that rhyme with thrones. Kate Kligman’s tweets about being fired by the Chicon 7 committee and her account of the reasons, which began appearing around September 5, have elicited an official response from the committee. Kligman’s Twitter account carries tweets and links to posts from fans and pros who have come alongside her. Elsewhere, The Second Generation Fan has published a couple of very angry posts defending the committee leadership. Chicon 7 achieved Fan Guest of Honor Peggy Rae Sapienza’s vision of giving Worldcon members a special Sunday morning edition of the daily newzine. “The Sunday Funnies” is now available at eFanzines. Edited by Kurt Erichsen, the four-pages of color comics were created by Randy B. Cleary, Phil Foglio, delphyne woods, Richard Chwedyk, Alan F. Beck, Sheryl Birkhead, Kurt Erichsen, Steven Vincent Johnson, Howard Tayler, Anne Trotter, Kurt Erichsen, Taral Wayne and Spring Schoenhuth.